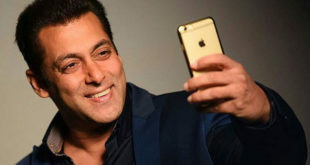 BOLLYWOOD: A plea was today filed before a city court seeking lodging of an FIR against Bollywood actors Salman Khan, Katrina Kaif and others for allegedly using a casteist slur against the scheduled castes. According to the complaint, Khan had used the word during the promotion of his film ‘Tiger Zinda Hai’. The plea, filed before Additional Sessions Judge Sidharth Sharma, alleged that the accused persons had “committed atrocity” on the members of the caste and insulted and humiliated them by making the casteist remark. The court put up the matter for consideration on February 27 and sought a reply from the Station House Officer concerned on the complaint.